A memorial service was held today, August 4th, at The Royal Sussex Regiment Memorial in Regency Square to mark the 100th anniversary of Britain’s involvement in World War I. Former Mayor, Councillor Bill Randall read the opening address and the last post was played, with the regimental standards dipped in honour of fallen comrades. A two minute silence was observed at 11am which is the hour at which Britain officially joined the conflict. Prayers were led by Father John Wall who also performed the blessing. 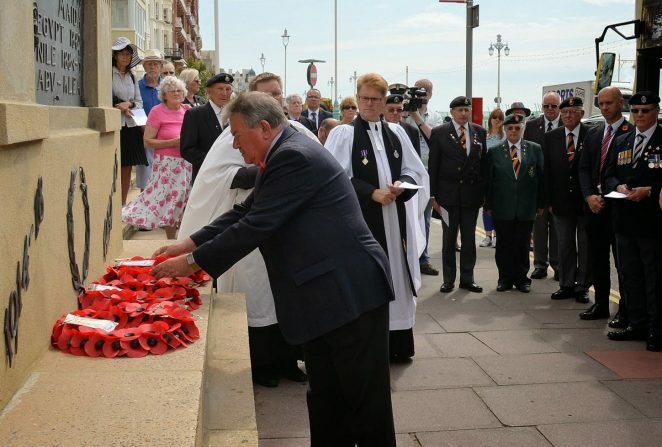 Councillor Bill Randall laid a wreath on behalf of the City of Brighton and Hove; other wreaths were laid by representatives of the Lord Lieutenant of East Sussex, The Royal British Legion/Armed Forces and The Royal Sussex Regiment. 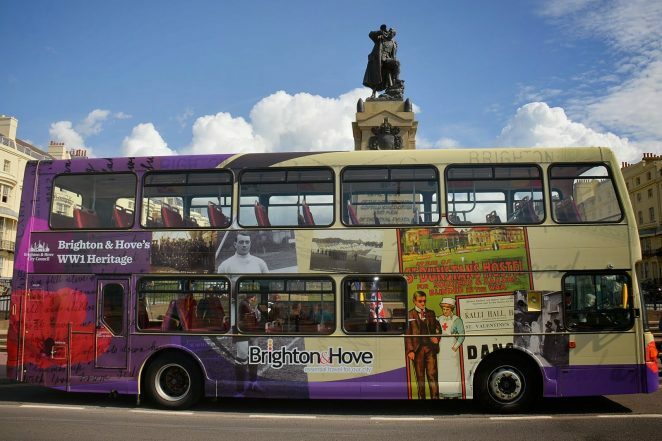 Councillor Randall then officially cut the ribbon on Brighton and Hove’s WWI Heritage Bus.